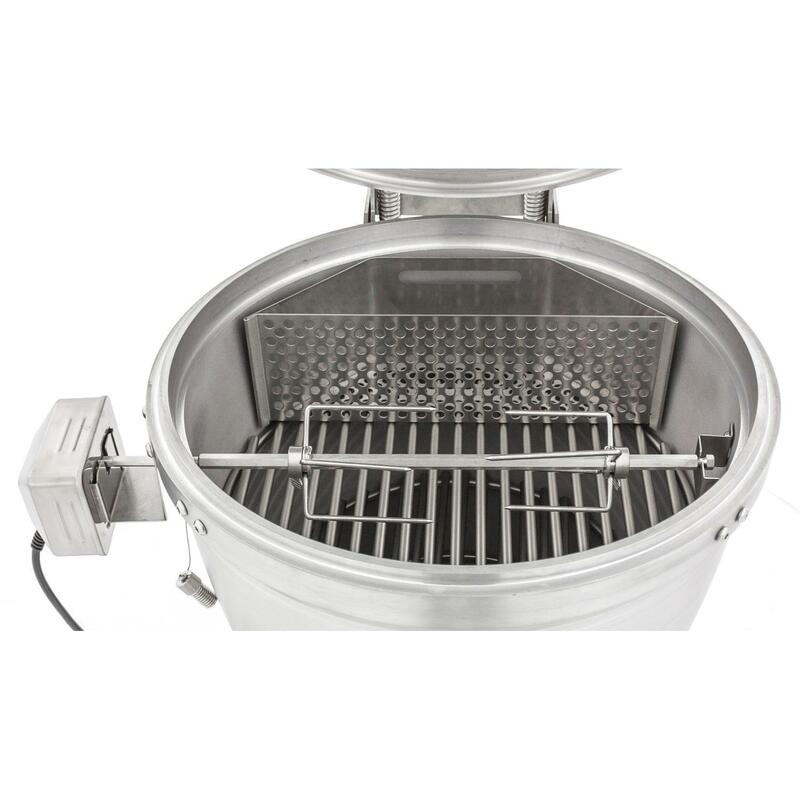 Product Description: Blaze Kamado Rotisserie Kit With Charcoal Basket - BLZ-KMDO-ROTIS. 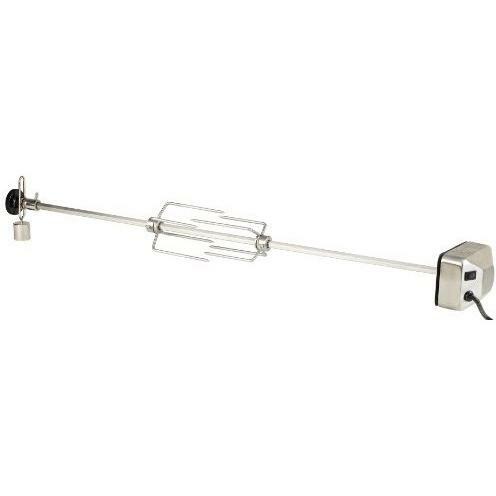 This Blaze Rotisserie Kit is designed specifically for the Blaze Kamado grill. Adding a rotisserie kit allows you to expand your grilling options and roast whole chicken, pork loin, beef roasts and more in your kamado grill. When used with the rear charcoal basket, you can cook food with indirect rear infrared heat which results in food that retains more of its own natural flavor. The waterproof 120V motor is enclosed in a stainless steel housing to withstand the outdoor elements. 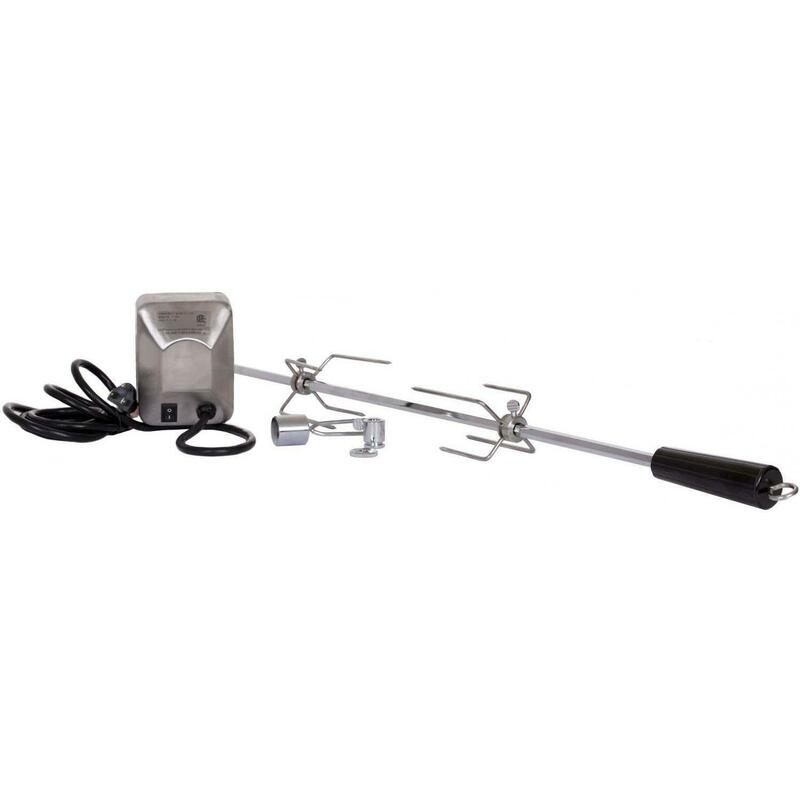 This kit includes the motor, spit rod with handle, brackets and two forks.